There is always the same debate when it comes to fireplaces. Is wood burning or gas better? People can get riled up when discussing which fireplace is superior. In terms of ease of use, you really can’t beat a gas fireplace. What other benefits are there to converting a wood-burning fireplace to gas? Fireplaces are all about comfort. There’s nothing more enticing than a cozy living room or basement fitted with roomy couches, soft blankets, and a blazing fire to heat up chilly winter nights. Wood-burning fireplaces play on the classic aesthetics of having a fire, but could you be blinded by the centuries-old nostalgia that comes along with a traditional wood-burning fireplace? Set your reminiscence aside for a moment and consider the benefits of converting your wood-burning fireplace to gas. The method might be different for some people, every year it’s the same. Getting up at the crack of dawn, grabbing the axe that’s been in your family for years, and chopping wood. Or maybe you’ve upgraded to a log splitter, something automatic to bring this literal “mankind’s first chore” to the modern century. Maybe you find yourself throwing on a heavy coat to head down at sunrise to your local wood auction, frantically throwing money at a pile of mediocre, barely seasoned wood. If you have kids, this quickly becomes their chore, but you might have to shell out some extra allowance money to get them to take part. Here’s the perk of converting your wood-burning fireplace to gas—you don’t have to do any wood hunting anymore. How great would that be? Saturday mornings become dedicated to hearty breakfasts, flicking on your fireplace switch, and voila, you’ve got a roaring fire. No longer do you have to set out time in your day to worry about wood. Pro-gas fireplace supporters vehemently argue this point until they’re red in the face. Why bother with wood-burning fireplaces when you could flip a switch and immediately enjoy steady, consistent flames? At their core, gas fireplaces are more efficient than their wood-burning cousins, and you can enjoy up to 75-99% of the fuel’s energy as heat in contrast to the 10-30% produced by wood fireplaces. This is perhaps because wood-burners are temperamental, requiring dedicated stoking, managing, and fueling, and the second you turn away, the newborn flame can extinguish. This is where gas fireplaces have the upper hand. 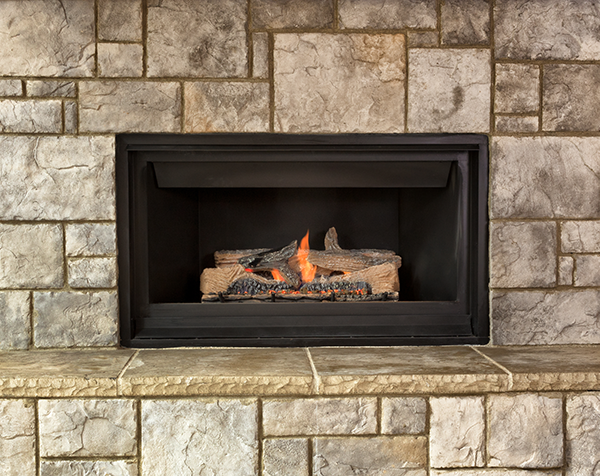 Maintaining a gas fireplace is as easy as changing the settings on your fireplace remote. Gas fireplaces claim the title as the more efficient type of fireplace, and if you want the ability to control the flame with a switch, then you will surely benefit with this conversion. 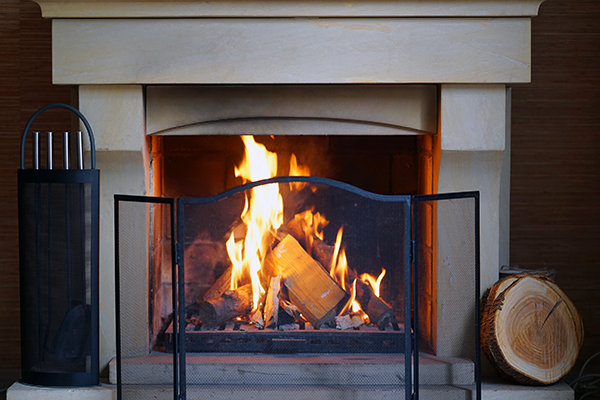 Converting your wood-burning fireplace to gas will guarantee a room filled with the heat produced by its steady flames. It will save you the time and energy it would take to keep a wood burning flame alive. There are newer models of gas fireplaces that include a fan to churn out the heat quickly warming up even your most open rooms. Gas fireplaces come in three distinct types: inserts, which transform a wood-burning fireplace to gas one, built-ins, a type of gas fireplace for those who want a fireplace where there isn’t one at all, and burners that sit in already existing fireplaces. When you’re talking about converting a wood-burning fireplace to gas, the process is simple, but even so, it’s better to have a professional do the job. There are also certain styles of gas fireplaces that don’t require a chimney, so if you don’t have a wood-burning fireplace to consider converting to gas, you can still install one anywhere in your home. 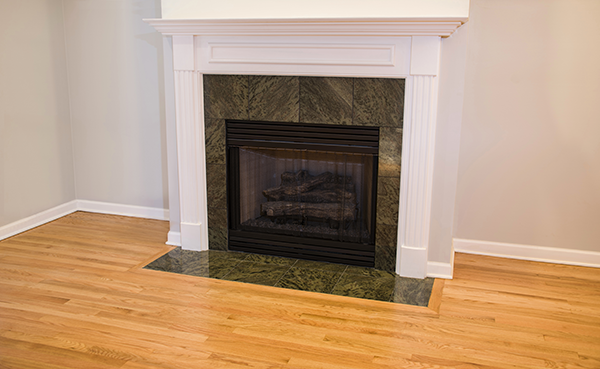 The options for placing your gas fireplace are limitless: the basement, the master bedroom, the upstairs bathroom, and even outside. The ability to have a gas fireplace without a chimney can send you down the long rabbit hole of endless styles and designs, so for those picky decorators still on the fence this is an attractive feature. Propane and natural gas are the fuel required for gas fireplaces to produce that reliable flame, and unlike wood-burning fireplaces, these two options give you the chance to use whichever fuel type you prefer (natural gas is less expensive and produces about 5% more heat). The versatility of a gas fireplace expands beyond where you can place it in your home to the large variety of burning elements. 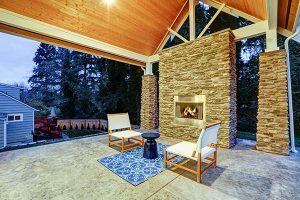 Ceramic logs that mimic the aesthetics of wood-burning fireplaces are popular in a traditional sense, but for modern appeal, homeowners favor the exotic look of lava rocks or the Art Deco design of glass beads. A benefit to a wood burning to gas conversion is that if you grow tired of the look, you can simply change it on a whim. Wood-burning fireplaces lead to chores. There’s the chore of chopping, seasoning, and buying wood, the chore of stoking and tending to the fire, and the chore of cleaning up what’s left after a night of having a roaring fireplace. The cycle begins again whenever a night feels right for a fire. Perhaps people who are pro wood-burning fireplaces enjoy the ambling process of seasoning and drying wood, or the tentative curating of wood at an auction, or the challenge of splitting logs, but whoever finds themselves enjoying cleaning up soot from a dead fire is certifiably insane and certainly in the minority. Soot gets everywhere, even with a steady and patient hand. 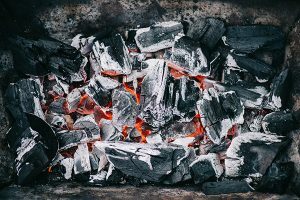 The minute you stand up from painstakingly crouching over the ashes at an uncomfortable angle, you notice soot on your pants and hands (read all about getting the soot out of the carpet right here). Soot and ash will be an added problem if you’re an allergy sufferer. The mess a wood-burning fireplace creates makes switching to gas and its clean aftermath all the more enticing. Thinking about going to gas now that you are versed on all of the benefits? 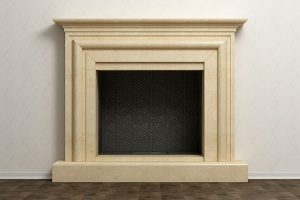 That’s great, and delving further into gas fireplaces features, here are some you should keep an eye out for. Most gas fireplaces these days have the option to control the height of the flame. Have a gentle flicker of flame or turn it up to a nice, roaring fire. Thermostat controls lets you set a temperature and have your fireplace churn out the heat to match it. Models often have a remote control or a wall thermostat. Built-in fans are another great feature to look for. These fans bring air from the inside into the firebox. From there it shoots perfectly warm air back out, filling your room with heat. 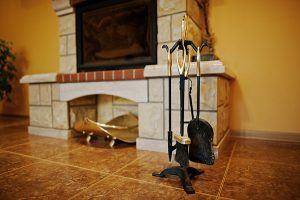 If you’re planning on jumping on the gas fireplace bandwagon soon, you should contact a professional fireplace technician. Although it may look like an easy do-it-yourself process, you’ll want to go through a trusted professional to ensure the process is done seamlessly. Early Times has been the most trusted chimney service provider in the Chicago area since 1985. Talk to a specialist today and get a free quote.